Circle Journal in the New Year! The theme will be using Postcards from wherever we live with some insight into what you like best about where you live, maybe even why you chose to live where you do. I think we can all learn a lot about each other this way. 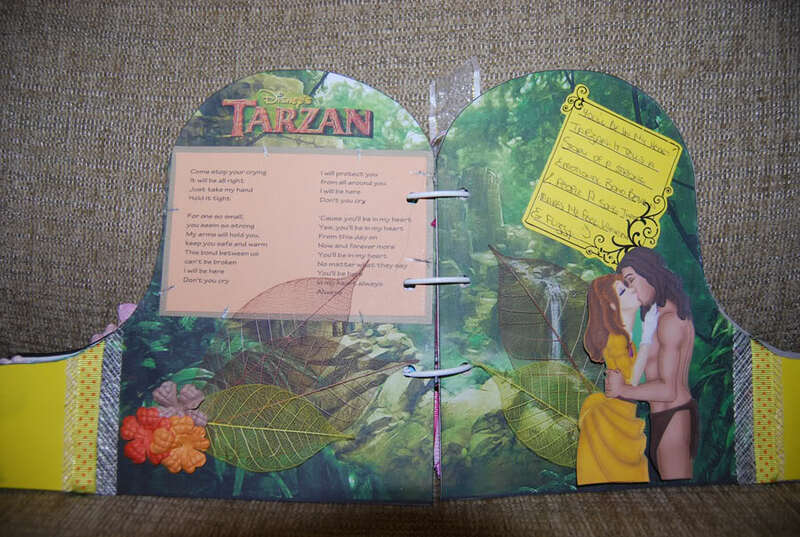 Each member must supply their own journal, it can be anything from an altered chipboard journal with pages, a mini paper book or a simple composition book. To keep costs down when shipping, the journal should be no larger than 6 x 6. Once we have all of our members set and everyone has their books ready to go out, I will build a schedule of who each of you send your book to and in what order. Depending on how many members we have, that will determine how many times the journal is sent around and how may pages you will need in your book. Each journal will be sent to all members. 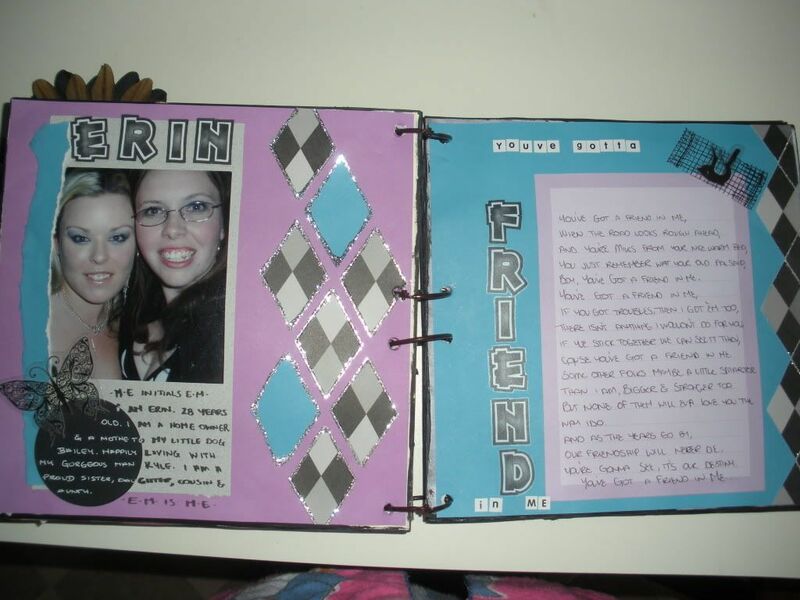 Because life happens I think we should be open to extending time if needed to make sure each group member gets their page touched and decorated by every group member, rather than having someone drop out because of lack of time. In this case each member can PM me when needing more time and I will keep track of where they are. The Theme will simply be Postcards. The idea is to purchase postcards from where you live and use those to decorate someone’s pages and tell each member something about where you live, what is unique about your hometown or what you love to do there. 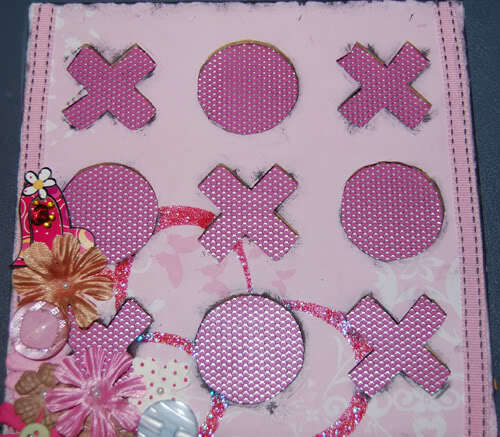 You may use anything to decorate your pages such as: pictures, doodles, embellishments, stickers, inks, chalks, stamps, journaling, you name it! I was thinking of kicking this off in the New Year, just looking to see if any members would be interested in starting such a thing. Re: Circle Journal in the New Year! I think a circle journal may be a good idea for the new year. From what I have seen of circle journals before, people usually pick their own theme for their journal and then each person contributes a page or two on that theme for them. How many people would be interested in participating in a circle journal swap in the new year? If we could aim at approximately 10-12 participants, we could turn them over each month and have them home around Christmas. If we get the numbers I am happy to host this swap. I've never taken part i one of these Sue, but i think it sounds interesting, although i need a bit ore info!! What actually goes in a circle journal?? Is it a themed layout that everybody does, or do we actually journal stuff or what?? 2. Vicki - i'm game, just need more info!! I've never done one either, but have seen a few. Each person decides on a theme for their journal. Some themes I have seen have been things like "Life Lessons", "Pregnancy", "My Fears", "My Perfect Day", etc. You can choose almost anything that interests you. You start by doing a title page and introduction for your journal. In the introduction you can leave everyone an explanation about the sort of thing you would like them to contribute to your journal, or any specific ideas / suggestions regarding style, etc. Next you leave a sign-in page, so that each person that contributes to your journal can leave you a little message. 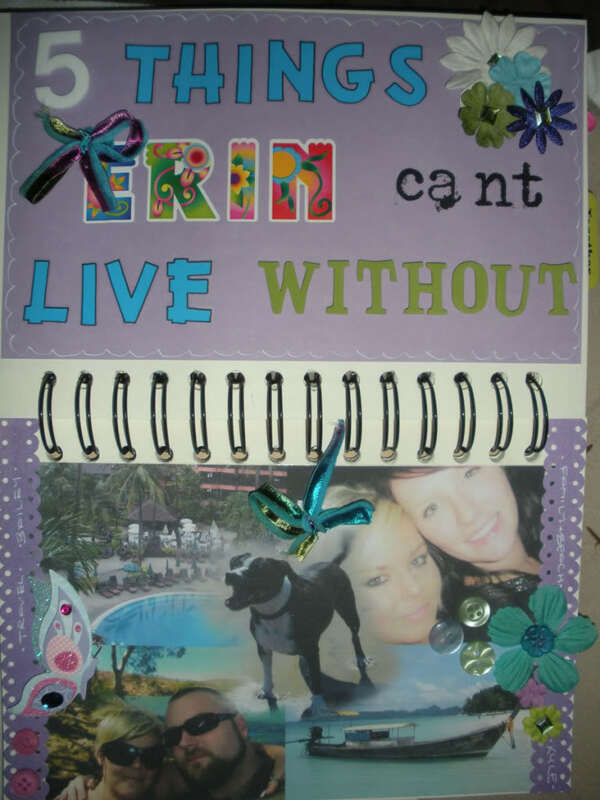 Then you scrap your own page (which is usually a double page as journals are quite small). After that you send it to the next person on the list. Each journal makes its way through everyone on the list before returning home. It is usually not advised to scrap the covers of journals until they return home, so they don't get damaged along the way. Hope that answers some queries! Does anyone else have anything they would like to add that they may know from experience? Anyone else up for this??? If we don't get enough takers, we may put this on the back-burner until mid year? I might be interested....depends on the topic. With so much going on at the moment, we have decided to postpone this swap for a while as well!! I have just finished a CJ for another forum, and I love it! Any chance of getting this one back on track? Would love to get into it again, they are SOOOOO much fun! Hey Erin, we have never done on of these before, so maybe you could share some details of what it is and what you had to do, and we can see if there is any interest! Oh sure!!! I'd love to! Basically, everyone picks a topic to base their CJ theme on. You create your front page and back with however many pages are included, even pop in a page for yourself! You then create a rules / sign in page with what you want everyone to do, such as include a pic of yourself, a blog address, i a little quirky fact about yourself etc - really can be ANYTHING!. 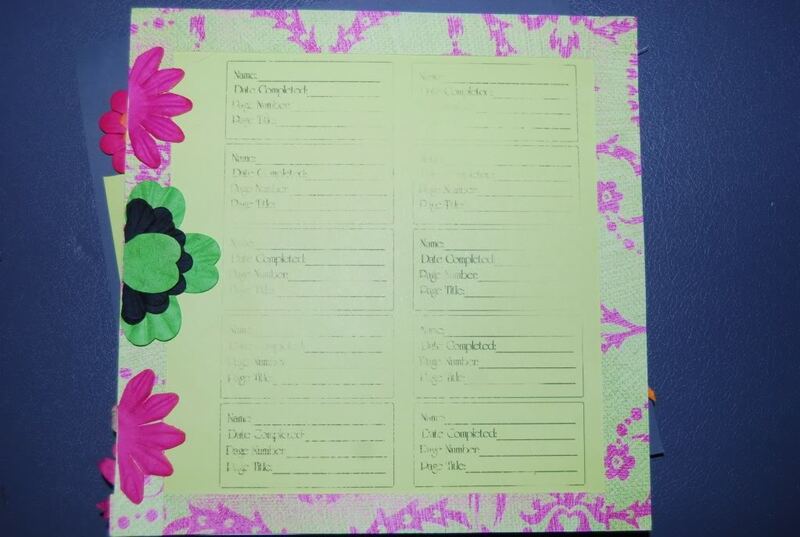 It then gets sent to the next person on the list, they complete their page and so forth! You can make your album out of anything! I purchased a simple Kaiser OTP for my first, but since then, I've seen them made out of paper bags, thick cardboard, and my favorite one has to be the Disney Character was a Kaiser OTP album in the shape of a Disney castle. Looked fab! Some of the themes I've done is favorite Disney character, Disney song, love of your life (which was mine), happiness, 5 things that make me happy and the one I'm doing now is Quotes & Lyrics. It's not only something different, but it's fun. It's a fab way to learn more about our forum friends, but we get this amazing story in scrap form from all around Aus! I love it, I have soo much fun doing them. I'm still waiting to get mine back, but I've included some images of mine to show you some that I have done! Wow, they look great Erin, and i would be interested in having a go!! Is anybody else interested in doing these?? If so, put your name down here and if we get enough people, we might get Erin to organise this one for us!! 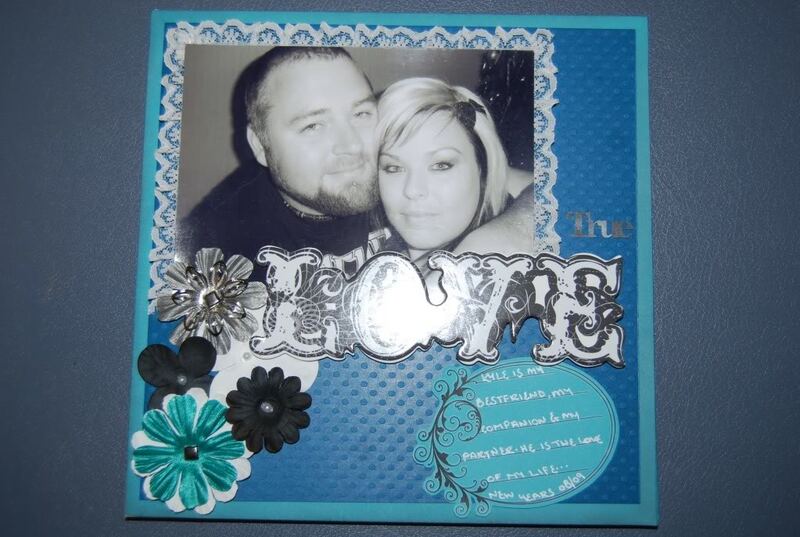 Not wrongs in scrapbooking my luv! Post all questions in this thread and I am more than happy to help out! Once we have a full grid, we will go from there. Seriously It is an amazing thing to do, and you will be HOOKED! I'ld join this but my inspiration still hasn't shown it's head. Managed to make a card on Saturday. got another 3 to do still! Anyone else? Would love just one more person!! !